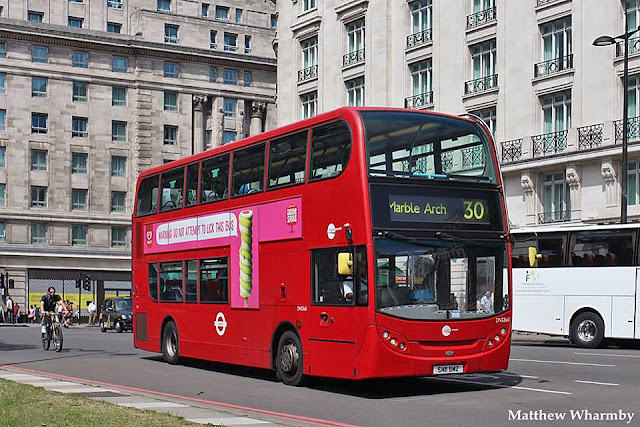 30 (Hackney Wick & Marble Arch) Awarded to Metroline Travel with new Euro-VI hybrid double-decks. Currently operated by Tower Transit with DN-class Dennis Tridents and VN-class Volvo B9TL double-decks from Lea Interchange (LI) Garage (Contract start date 23rd June 2018). 231 (Turnpike Lane Station & Enfield Chase Station) Awarded to Metroline Travel using existing fleet 2009 Euro-IV and 2011 Euro-V diesel double-decks. Currently operated by Go-Ahead London with EN-class ADL E40D double-decks from Northumberland Park (NP) Garage (9th June). 327 (Waltham Cross & Turkey Street circular, Mon-Sat) Awarded to Sullivan Buses using existing fleet 2010 Euro-V diesel single-deck. Currently operated by Go-Ahead London with WS-class Wright Streetlite single-decks (9th June). 389/399 (Barnet circulars, Mon-Sat) Awarded to Sullivan Buses using new Euro-VI diesel single-decks, operated off of current route 299. Currently operated by Go-Ahead London with SEN-class ADL E20D single-decks from Northumberland Park (NP) Garage (7th April). 491 (Waltham Cross & North Middlesex Hospital) Awarded to Metroline Travel using existing fleet 2009 Euro-IV and 2011/12 Euro-V diesel single-decks. 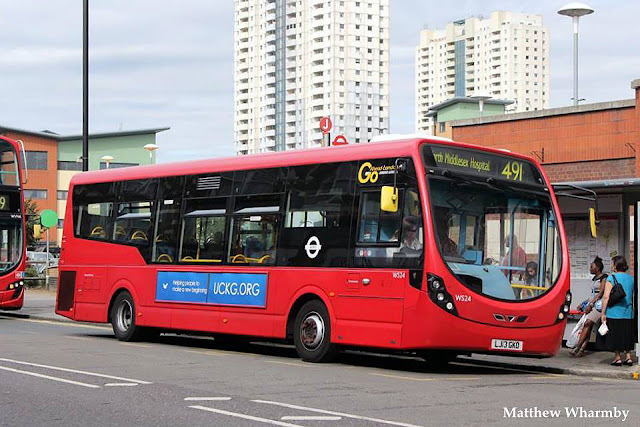 Currently operated by Go-Ahead London with WS-class Wright Streetlite single-decks from Northumberland Park (NP) Garage (2nd June). 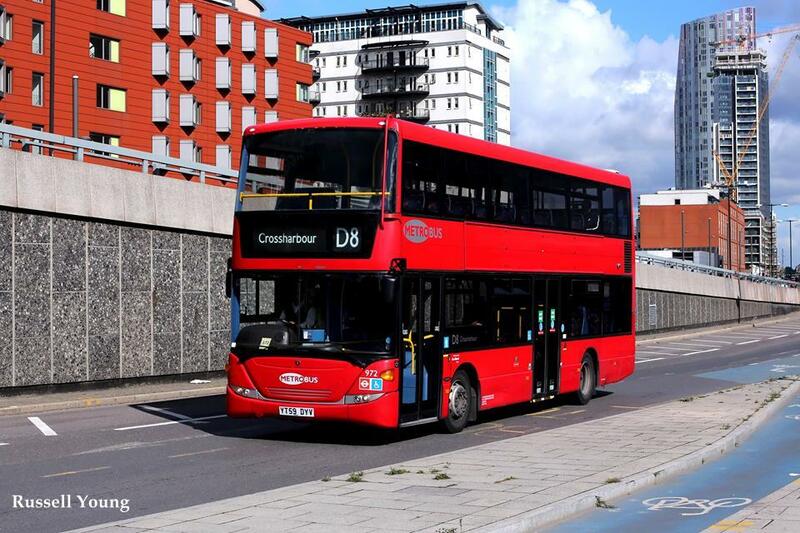 D6 (Cambridge Heath & Crossharbour) Awarded to CT Plus with new Euro-VI diesel single-decks. Currently operated by Go-Ahead Docklands Buses with SE-class ADL E20D single-decks from Silvertown (SI) Garage (15th September). D8 (Stratford & Crossharbour) Awarded to Tower Transit using existing fleet 2011 Euro-V diesel single-decks. 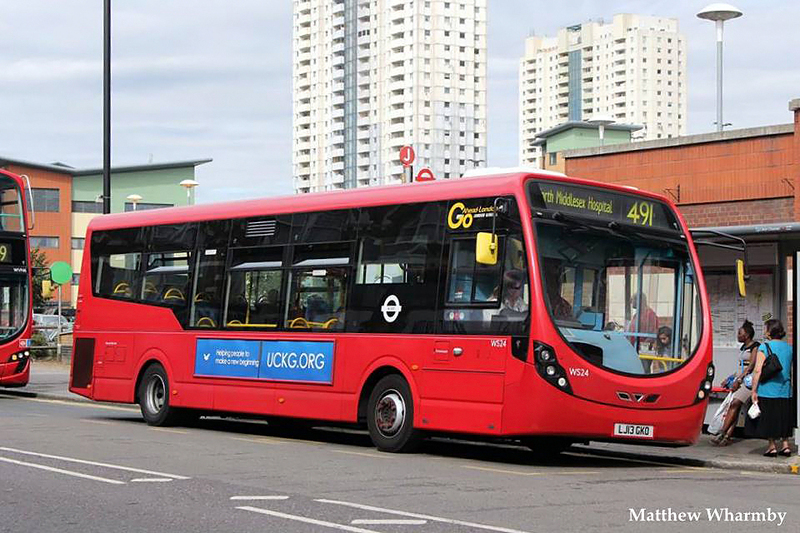 Currently operated by Go-Ahead Docklands Buses with Scania double-decks from Silvertown (SI) Garage (15th September). R9 (Orpington Station & Ramsden Estate) Re-awarded to Go-Ahead Metrobus using existing fleet 2011 Euro-V diesel double-decks (18th August). N550 (Trafalgar Square & Canning Town Station) Awarded to CT Plus using existing fleet 2017 Euro-VI hybrid double-decks in use on daytime route 388. Currently operated by Tower Transit DN-class Dennis Tridents and VN-class Volvo B9TL double-decks from Lea Interchange (LI) Garage (1st September). N551 (Trafalgar Square & Gallions Reach) Awarded to CT Plus using existing fleet 2017 Euro-VI hybrid double-decks in use on daytime route 388. Currently operated by Tower Transit DN-class Dennis Tridents and VN-class Volvo B9TL double-decks from Lea Interchange (LI) Garage (1st September). All routes are operated Daily unless shown otherwise and N-prefixed routes are Nighttime only.